Capturing the essential health information of people who live in remote areas has become a bit easier through the Data Information System, DHIS2 (District Health Information System 2), at CARE. But there is still more support needed for its impact to be fully effective. 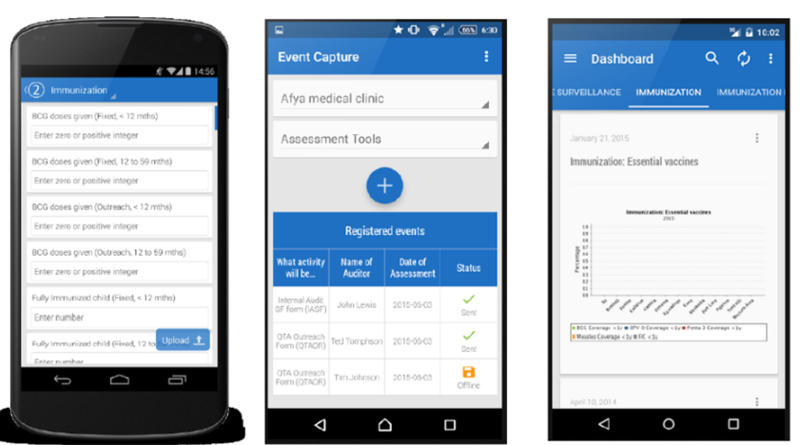 This open source software platform is able to cut research and data collection time, and present information effectively using the convenience of smartphones, tablets and PCs – a seemingly much needed improvement from teams of people collecting data and then importing it into Excel spreadsheets for reconciliation and sharing. Dora Curry, a senior technical advisor for monitoring and evaluation in health programming for CARE USA, works in the SAFPAC (Supporting Access to Family Planning and Post-Abortion Care) Initiative, which implements projects to ensure access to family planning and other reproductive health services to women in fragile states and conflict settings. According to Curry, reporting speeds have increased exponentially – from several months to 24 hours. 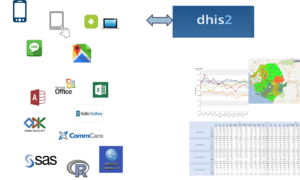 Using the DHIS2 System, data may be immediately analyzed using maps, charts, pivot tables, or summarized through dashboards. 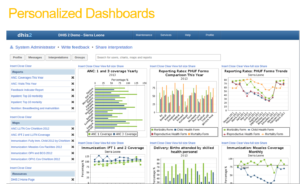 Policymakers and managers are empowered with accurate, timely data. However, while DHIS2 is simplifying a lot of field work, Curry says there are a few things missing. “Having a strong information management system does not give you strong data,” Curry says. “Reporting rates are not a guarantee, data quality is not a guarantee, data usage is not a guarantee. 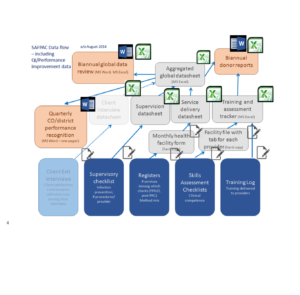 What these [successes] don’t necessarily depict fully is the M&E side—the development of forms, indicators, data flow—so that the technology of the database is resting on a solid M&E foundation,” she says. 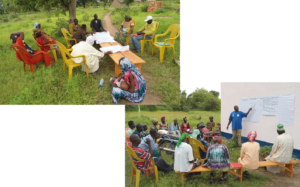 She adds that surveillance protocol and reporting protocol with clearly identified roles for users and stakeholders is needed, as well as data verification, trouble shooting and capacity building to get the data to people who need it to make decisions. Finally, more IT bandwidth—for videos, big downloads and time-consuming activities—is necessary to support the program. Consideration should also be given to increased training to overcome language barriers and a system for real-time remote clinical support, Curry notes. Have you used a data management system that has worked well? What are your thoughts on these types of e-systems and their integration with M&E frameworks?